Opera Mini finally lands on the iPhone and iPad. Worth a download for users. 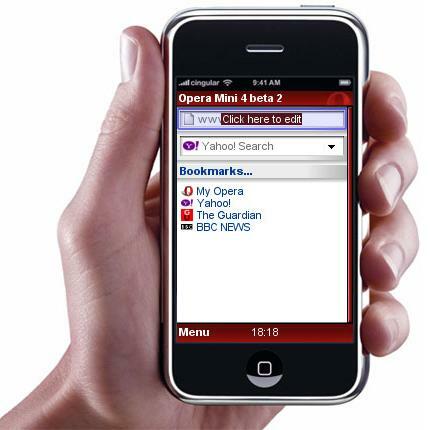 Opera Mini 5 has made its way to iPhone in April last year and quickly became a big hit. As with Opera Mini for other devices, Opera Mini 6 for iOS doesn’t only allow users to access webpages more quickly over slower connections, it also has a lot of features not found in the native iOS browser, Safari. Better panning and zooming for viewing sites that do not have a mobile stylesheet is one of the features. It then makes it easier for the user to share links or pages via Facebook, Twitter or MyOpera. Furthermore, iPad users can also use the browser as it has also been designed to fit the larger device. Opera Mini 6 is worth a download for users looking for something new, especially if you work with slow connections. It has a nice new UI, some enhanced features and is free. Taiwanese Pop Star Flaunts an iPad Mini? Twitter Goes Social With Facebook-like "Connections"